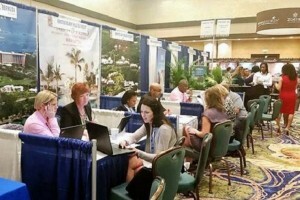 FLORIDA – There has been a surge in new buyer interest for this month’s Caribbean Travel Marketplace, according to the Caribbean Hotel and Tourism Association (CHTA). The Conference opens on the evening of Tuesday, January 31 and will be preceded by educational sessions that day. An event schedule is available at: http://www.chtamarketplace.com/event-schedule. Caribbean Travel Marketplace, produced by the Caribbean Hotel and Tourism Association, is hosted by The Islands of The Bahamas / Bahamas Ministry of Tourism, the Bahamas Hotel & Tourism Association, Interval International, jetBlue Vacations, MasterCard and Sandals.